ENGLISH - 1. Deutsche Hamstervereinigung e.V. | Hamster - unsere Leidenschaft! The 1st German Hamster Association e.V. is an association of hamster breeders, hamster owners, and hamster enthusiasts for the preservation and promotion of pure breeding and protecting different hamster species. Our aim is hamster breeding according to (still to be developed) standards that will be universally valid for different species. 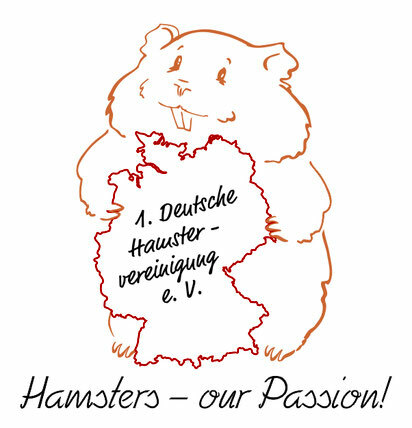 So the 1st German Hamster Association promotes all endeavours towards this purpose. We want to promote and secure these species in pure breeding, in their special characteristics, their physique and health, their perfect appearance and appropriate keeping. The Association has no political or religious aims. We are an association of hamster breeders, hamster owners, and hamster enthusiasts for the preservation and promotion of pure breeding and protecting different hamster species. Our work depends on donations. All donations are welcome. 1st German Hamster Association e.V. The 1st German Hamster Association e.V. decided to list all its associate breeders publicly. So everyone can see right away, which breeders are in the Association. We believe in treating the hamsters with respect, keeping them in appropriate surroundings, and breeding them according to professional guidelines.